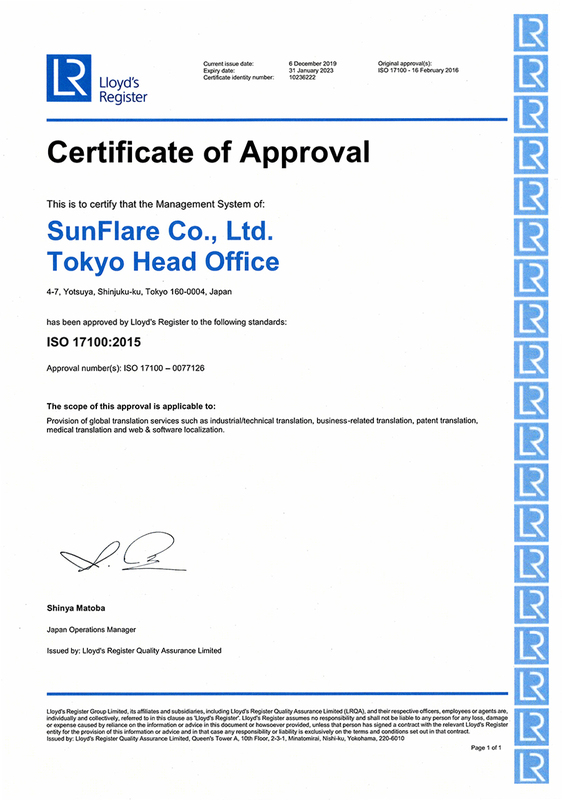 Training and Seminars - Services - SunFlare Co., Ltd.
Our track record in business translation has allowed us to develop the know-how and staff to provide tailor-made seminars for corporate language training and other specialist fields. We plan and deliver language training courses that are tailored to the client's business practices. 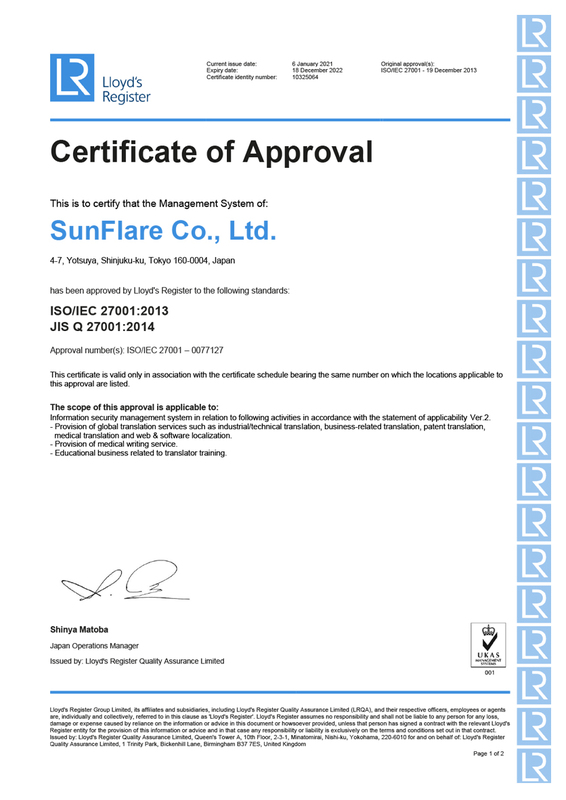 SunFlare offers work-related language training by using actual business documents as the teaching materials. We also offer communication-based training programs on topics such as the following: technical writing, which is widely used in the creation of business documents; English reading comprehension, which is necessary to ensure a smooth business workflow; and e-mail writing, which allows for better communication with international staff. 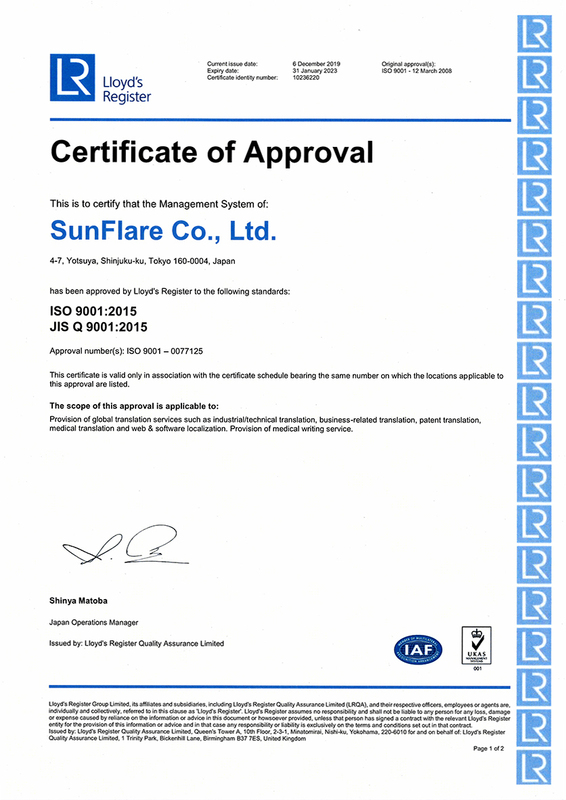 SunFlare Academy is an educational facility that employs documentation experts with practical translation skills and backgrounds in specialist fields. Thanks to our unique know-how and training methods, participants see their skills improve through training provided by elite lecturers and language specialists with expertise in the client's line of business. Our training programs are tailor-made to meet the needs of the individual client. We meet with our clients to ascertain their needs, which include wanting to be able to create reports in English or conduct negotiations with overseas clients via e-mail in English. We also provide follow-up services after the training sessions have been held, such as evaluations of the effectiveness of the course and consultations on continued learning. We confirm the specific training goals and the present skill levels of the course participants. We submit the proposed training curriculum and an estimate according to the information we acquire through interviews and meetings with the client. We conduct proficiency tests for the course participants before the training starts. We provide training in the client's preferred format, from dispatching instructors to the client’s workplace to conducting correspondence courses. We conduct proficiency tests after the training ends, taking into consideration the participants' level of comprehension and the degree of progress made in the training. Participants acquire knowledge in a variety of fields through high-quality seminars provided by SunFlare, which has a wealth of expertise in a diverse range of fields. As well as holding seminars that are open to the general public, we also offer customized seminars for specific dates, times and/or venues. We run human resource training programs and seminars on various laws and regulations in the medical device field. We hold practical seminars on matters related to intellectual property business practices. These seminars cover a wide range of themes that are designed to meet the requirements of patent attorneys and intellectual property department staff. We conduct stand-alone lessons and courses with the aim of improving translation skills. Based on their skills, participants can select from a diverse lineup of courses, from foundation courses on accurate English and Japanese comprehension through to courses for people wishing to become professional translators in the patent and clinical trial fields.